Arrows H Series Grade 1 Cylindrical Knob Locks have been engineered for years of dependable operation. They are offered in a complete range of functions and finishes and can be purchased with either conventional or SFIC cylinders. Constructed of cold rolled steel and coated with a zinc dichromate finish for corrosion resistance. Mounts on doors thickness between 1-3/4" and 2". Arrow MK Series Grade 2 is constructed of cold rolled steel and coated with a zinc dichromate finish for corrosion resistance. Designed to fit doors with of thickness between 1-3/8" to 1-3/4". Available in seven finishes and available with SFIC (Small Format Interchangeable Core) set up. 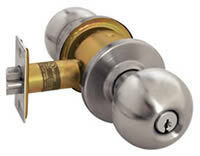 Master Lock Tulip Door Knobs are ANSI Grade 3, designed for residential applications. 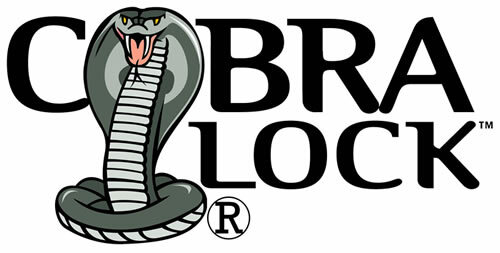 They come in different functions such as entry door locks, passage door locks and privacy door locks. Available in multiple finishes all with the exclusive Master Lock Antibacterial Bonded Finish™.